At least two Chinese nationals have been killed in overnight violence in Vietnam as ties between the two countries deteriorate over a territorial dispute in the South China Sea. Chinese news agency Xinhua reported on Thursday that at least 100 Chinese nationals were hospitalized during violent protests triggered after a Chinese oil rig moved into the disputed waters near the Xisha Islands (known to the Vietnamese as Hoàng Sa Archipelago). According to the Formosa Plastics Group, a Taiwanese steel manufacturing investor in Vietnam, its plant in Ha Tinh (300 kilometers south of the capital Hanoi) was set on fire after fighting between its Vietnamese and Chinese workers caused the death of one Chinese nation. Ninety others were hospitalized, it said. 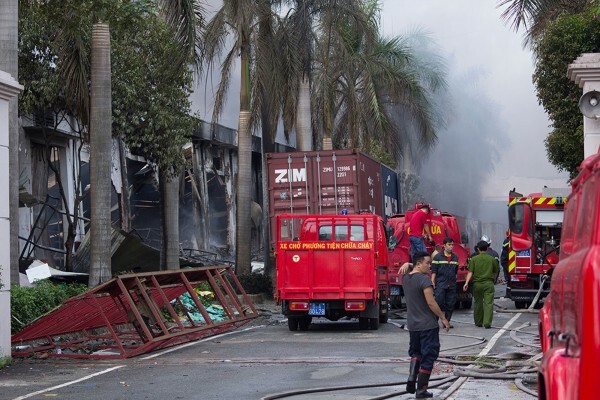 On Thursday morning, the Taiwanese Ministry of Economic Affairs said that 100 of its companies in Vietnam had been attacked with at least 10 set on fire. But there have been conflicting reports about the casualty figures. Medical sources in central Ha Tinh province told Reuters that “five Vietnamese workers and 16 other people described as Chinese were killed on Wednesday night in rioting”. Responding to appeals from the governments of China, Singapore and Taiwan to protect their citizens and projects in the country, Vietnamese Prime Minister Nguyen Tan Dung called for restraint and an end to the violence. He called on the Ministry of Public Security to ensure the security and well-being of all foreign nationals and their assets. A statement issued by the ASEAN foreign ministers earlier in the week said that China and Vietnam must abide by the provisions of the 1982 UN Convention on the Law of the Sea (UNCLOS). They also urged self-restraint and for both countries to refrain from further escalating tensions. Earlier, the Hanoi-based Tuoi Tre newspaper said that Vietnamese and Chinese vessels fired water cannons at each other in the South China Sea. There has been no reaction from Beijing to this report. On Monday, Yi Xianliang, the Deputy Director-General of the Department of Boundary and Ocean Affairs in the Foreign Ministry, said that “China is deeply surprised and shocked” at the recent developments in the South China Sea. He said that the drilling operations were centered at 17 nautical miles (some 31 kilometers) from China’s Zhongjian Island, which he says are within Beijing’s territorial waters.